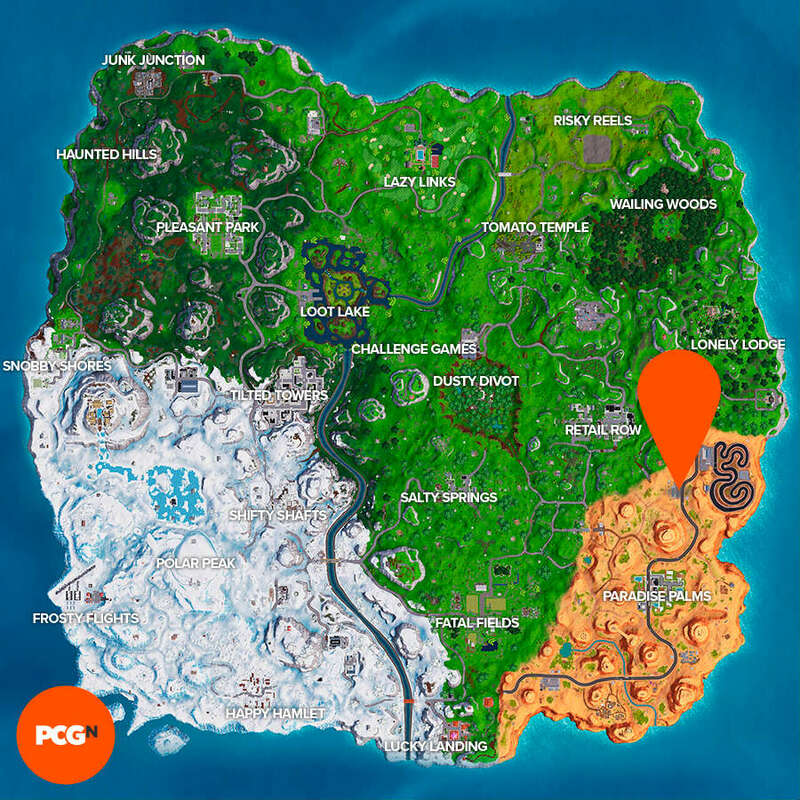 Where is the ice cream parlor in Fortnite? Fortnite’s desert biome is a rather hot, dry place, so a nice, ice-cold treat is the perfect antidote. We imagine that Fortnite’s ice cream parlor does some pretty tidy business. Anyway, here’s where you can find the place to use your new DJ-inspired emote. Besides the fact that it’ll be absolutely delicious to sample all of the lovely ice cream flavours available, we’re also doing it so we can bag ourselves the next set of special Showtime challenge rewards. In other words, you’ll get a Marshmello harvesting tool as long as you complete this tasty quest. Yes, if you’ve stumbled across this guide without having first got the Keep It Mello emote, you’ll be dancing for no better reason that it’s an awful lot of fun – so if you want the loot, you’re going to have to go and do that first. 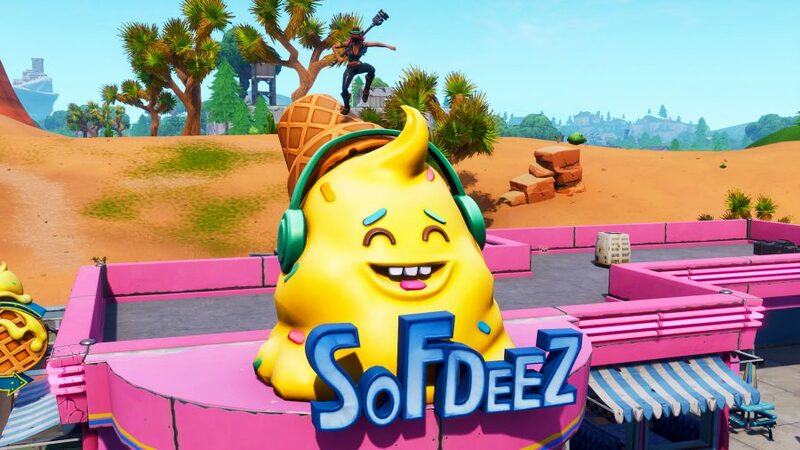 So, let’s get to it: here’s where to the new ice cream parlor in Fortnite. You’ll find the cool hangout directly west of the race track near Paradise Palms. It’s vibrant pink exterior stands out against the brown sands – you can’t miss it. If you need more specific directions, here’s a map below. And there you have it, that’s where to dance on top of a the ice cream parlor in Fortnite. If you just can’t wait until the gig starts, you can always grab some more Marshmello-themed gear by search a Fortnite Showtime poster. Now, on the plus side, you can now go shopping and get some dinner without having to worry about crossing battle-scarred terrain. Handy, that.